I use to collect Marvel cards when I was a kid, as much as I do basketball cards now. I still have my whole collection. At least once a week I will post a new card from my PC to showoff. I will start it off with my favorite card in my collection. I got this card when I went to the comic book store with my sister and asked her to pick one pack from the box. 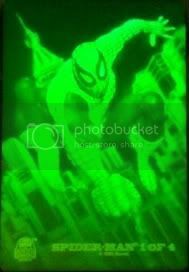 The one pack she chose had this 3D Hologram as well as a Marvel 2099 Chase card. A great deal for the price of $1.25 a pack. Wow, that hologram is awesome!!! Jealous Sick card! Woahh!! That card is sick!! Basketball:Carmelo Anthony & Jared Dudley And ANY CURRENT CELTICS! Thanks Ed - I can use that card. I owe you one. Thanks for the comments guys & gals. 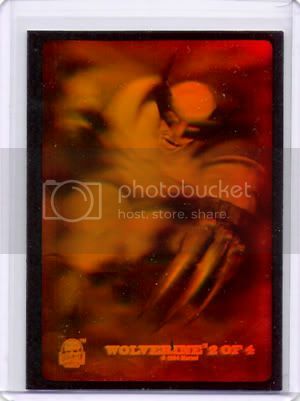 Hologram cards were my favorite back in the day. ocanseco55 - no thanks I dont collect marvel cards anymore, I just wanted to show off my PC. 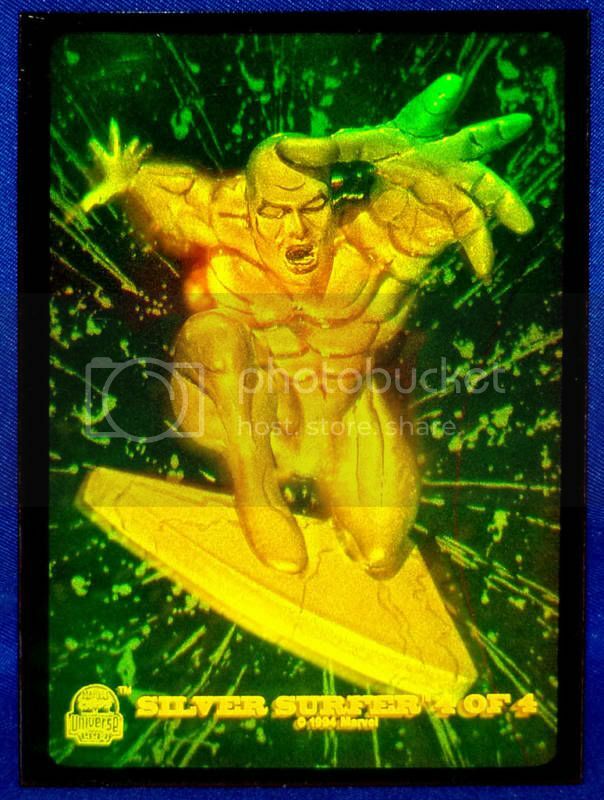 Here is my second favorite card in my Marvel collection. I loved those 3D Holograms from the early 90s. Wow, never seen that card either! Awesome! 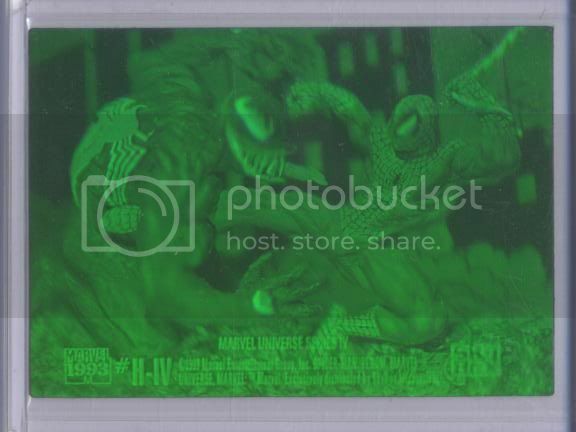 Next up is another one of my favorite 3D Holograms from my favorite Marvel character. 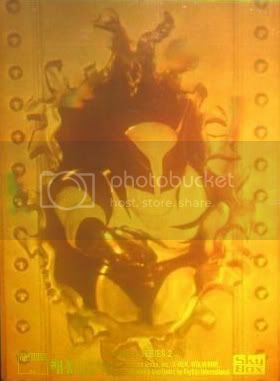 Here is my next 3D Hologram from this set of four. 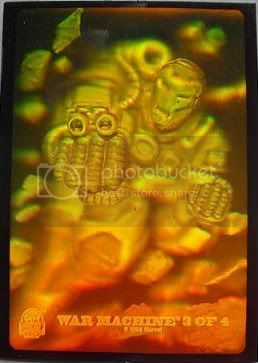 Here is my last 3D Hologram from this set of four.